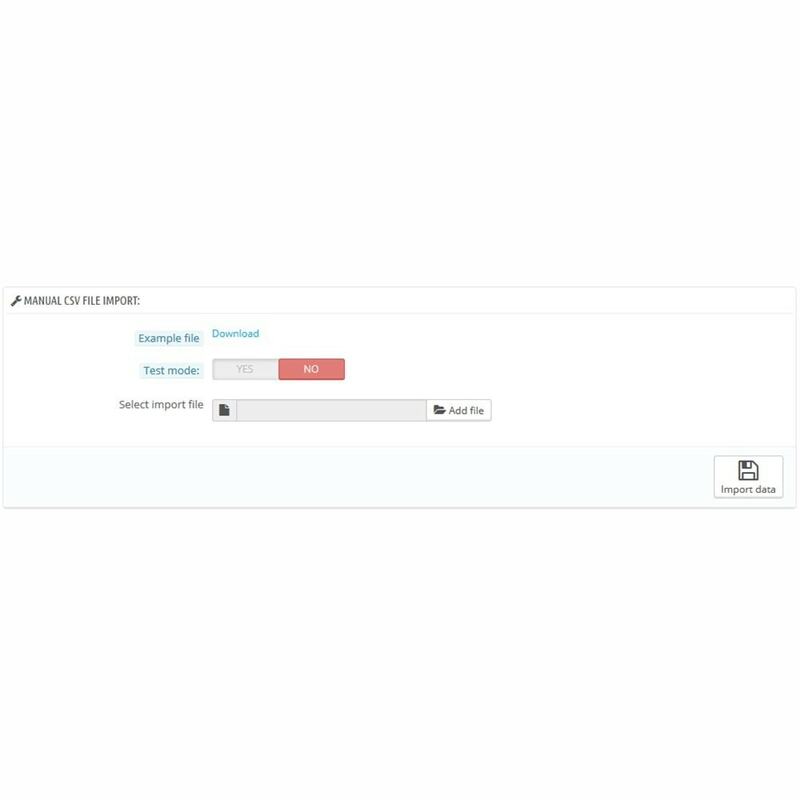 Allows you to upgrade the stock and prices of your products massively and automatically by importing a CSV file, an URL, a remote FTP or a file on the server. It also activates alerts for stocks below minimum by product or combination. 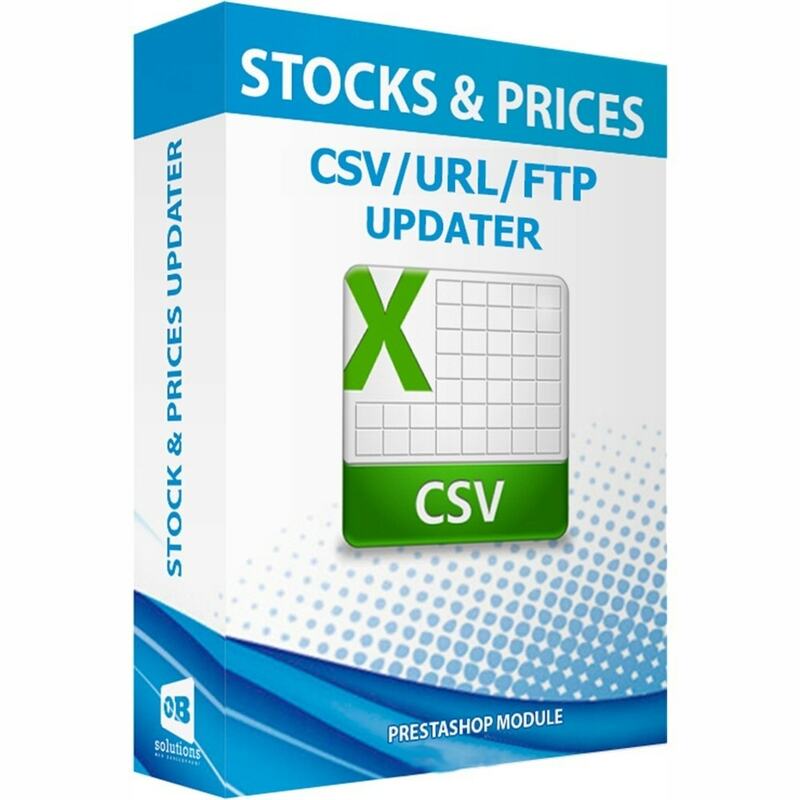 With this module you'll save a lot of time updating the stocks or prices of your products and combinations, because it will allow you to make it as a massive update by importing a CSV file. 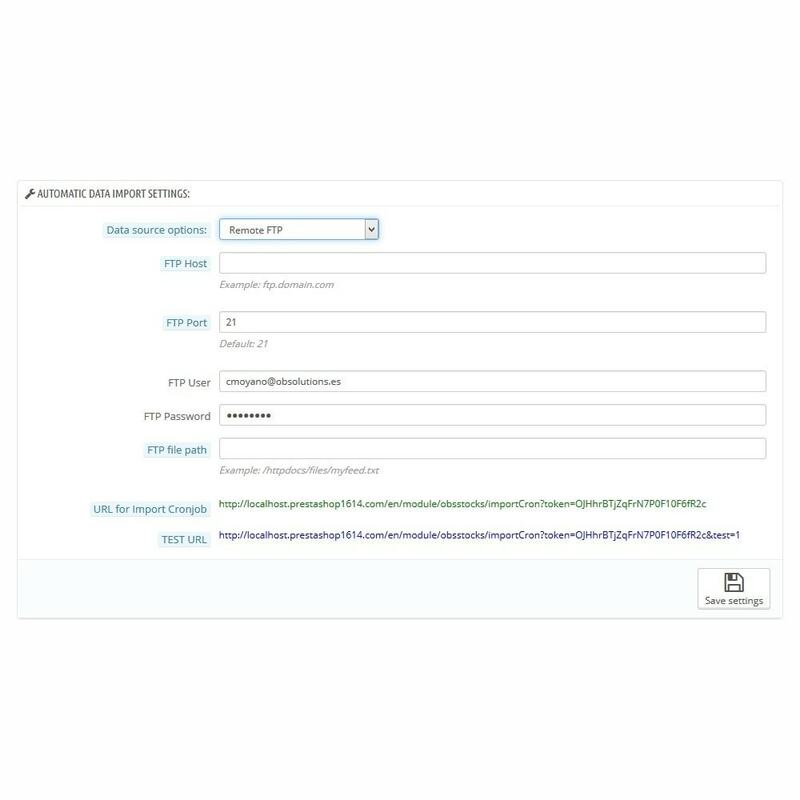 It will also let you setup an scheduled taks (cronjobs) to update data automatically taking as data source an URL, a file on a remote FTP or a file on the own shop's server. 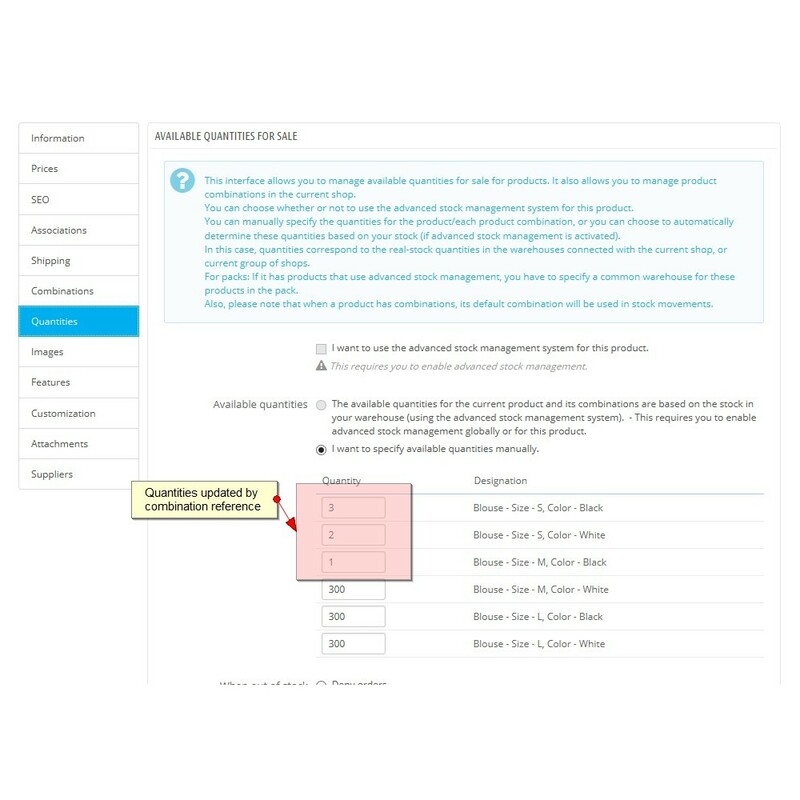 This module also allows you to import a list of alerts stock for each product, so you can be informed at all times of products that are below the minimum stock set. 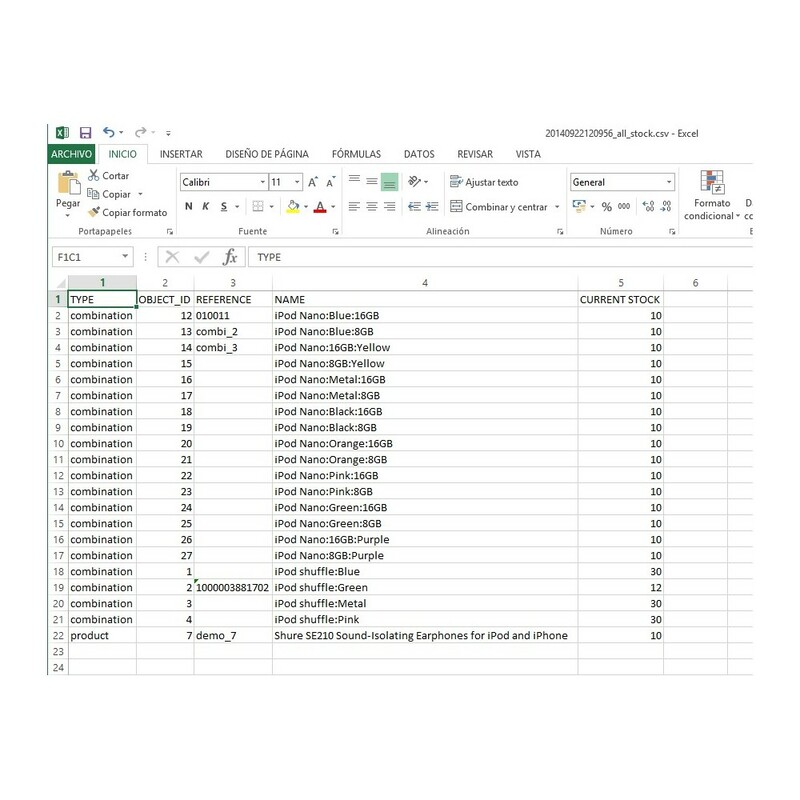 You can also export all the information in stock of your products to a CSV file and export the information of only those products that are below the minimum set. With the URLs provided by the module can configure cronjobs that allow you to be aware at all times both real stock your store and only stock a minimum current. 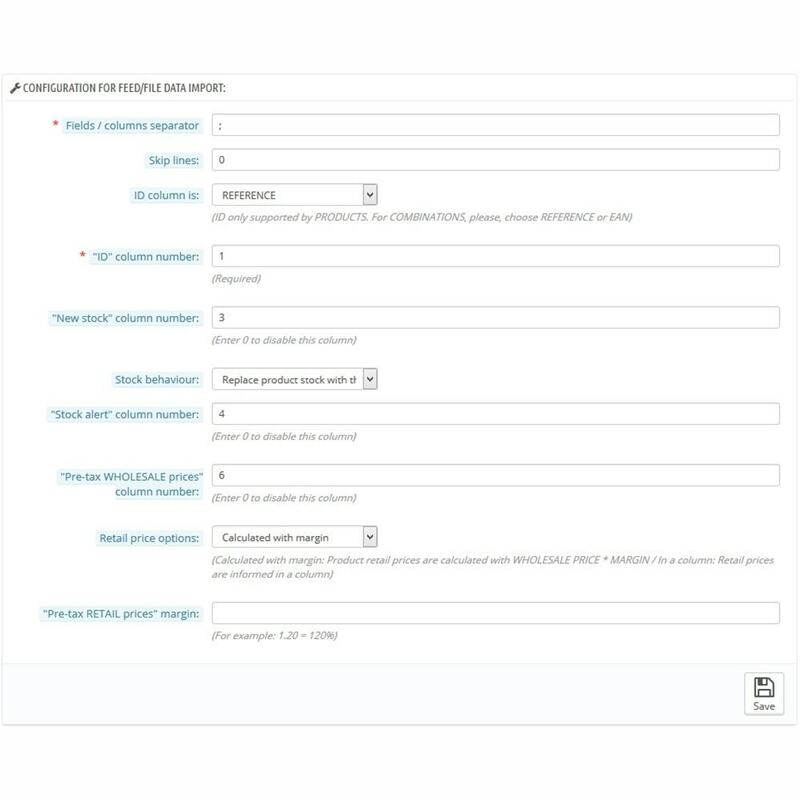 Allows to manually configure the field mapping so no need to modify or adapt your import file. The module adapts to the file, and not the reverse. Allows to manually update prices and stocks through a CSV file in one step. 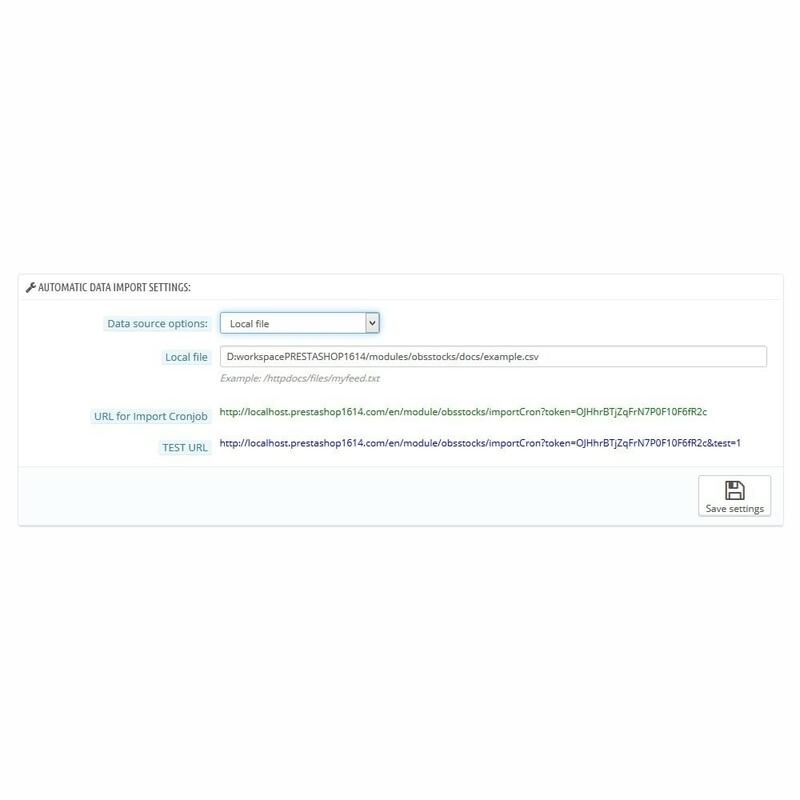 Allows to automatically update prices and stocks through an URL, FTP or file stored on your shop's server through the URL provided by the module for configuring a cronjob (scheduled task). 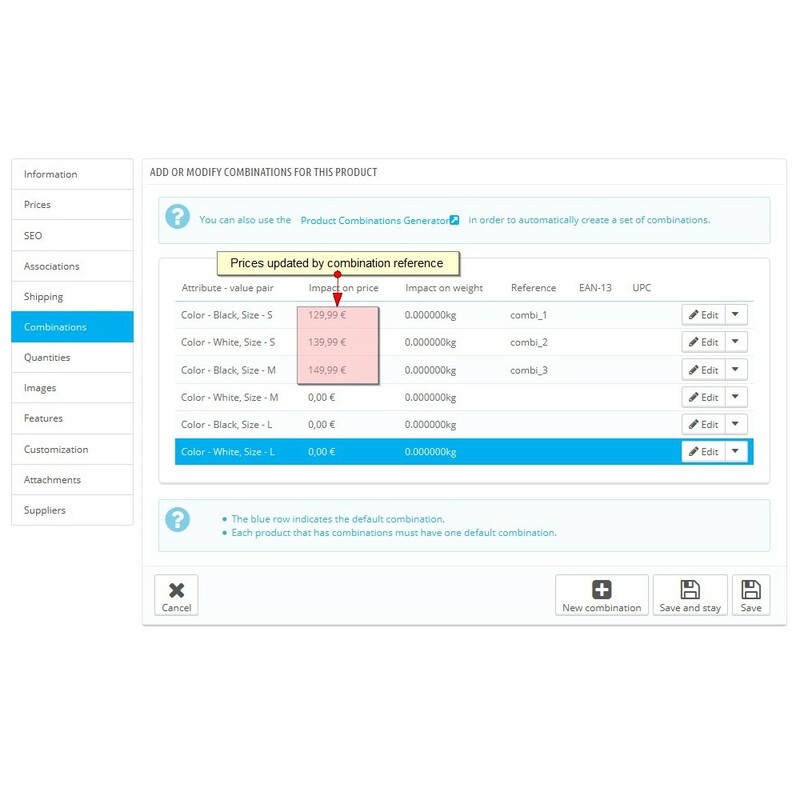 Allows to set stock alerts for each product or combination. 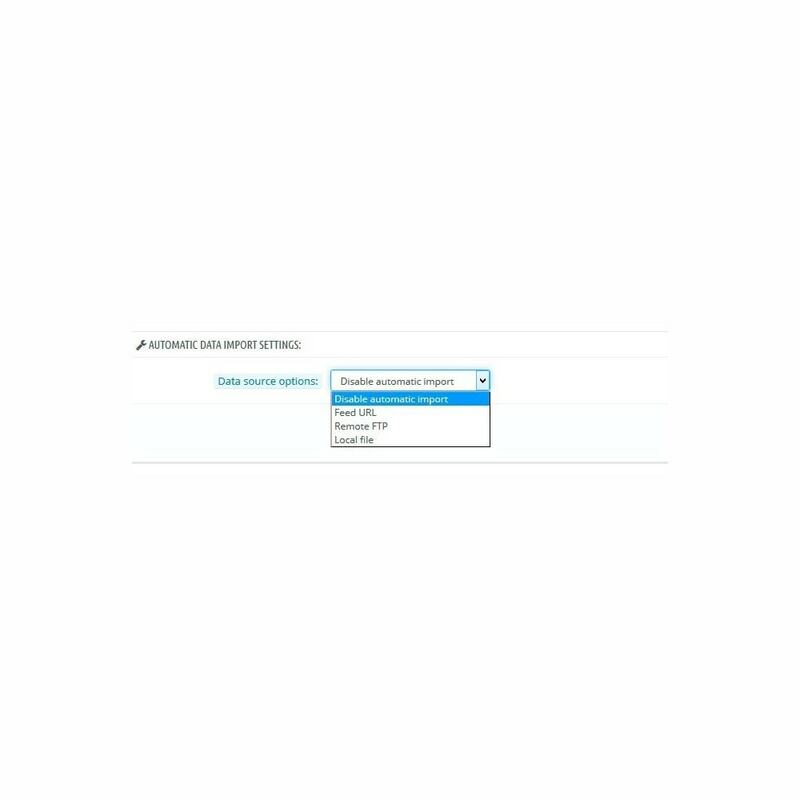 Allows to select which fields may be updated so you can disable those fields that do no want to update. 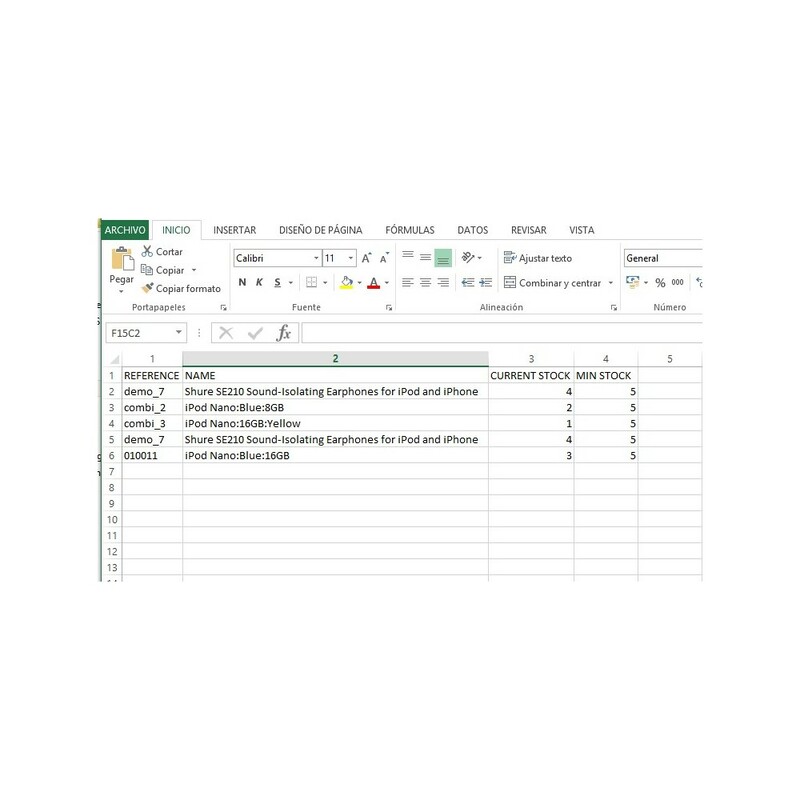 Export to CSV all current stock of your shop. 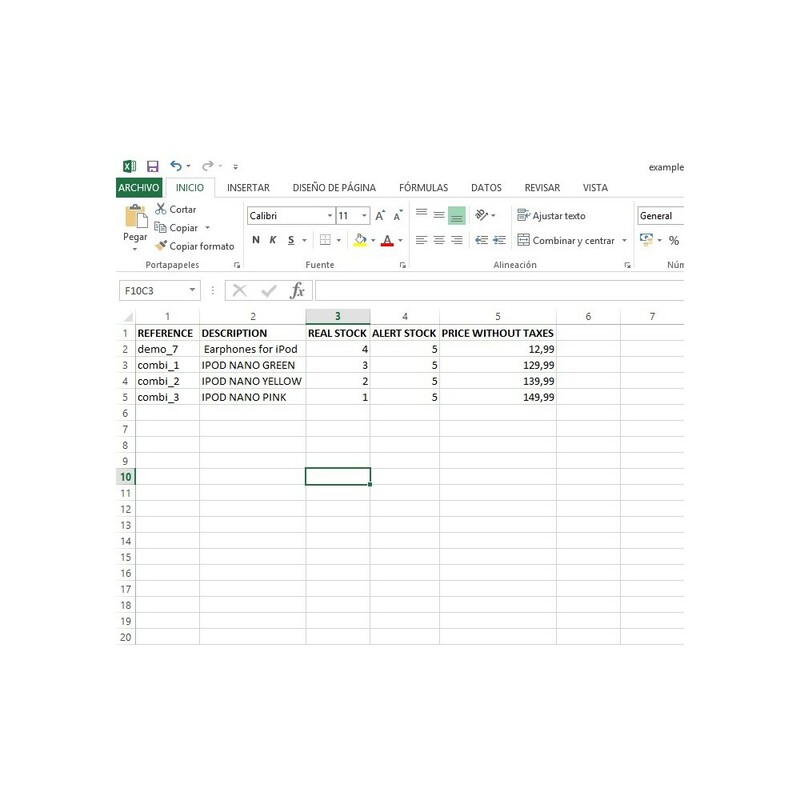 Export to CSV all your stock that is below its set minimum. 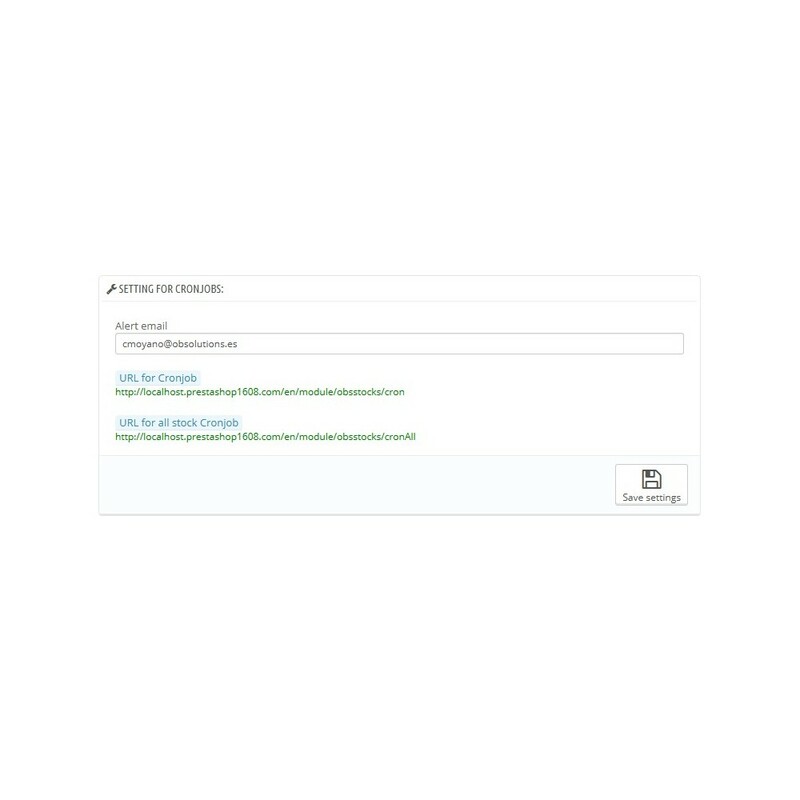 Include 2 URLs so you can configure 2 cronjobs: first one to send you an email with all the real stock every time that's executed and the second one will send an email only for the stock that is below its set minimum. This module is compatible with product combinations. This module is compatible with product packs. This module is compatible with multistore. This module is not compatible with the advanced stock management. With block product module admin can prevent the availability of products on store based on customer's IP address or shipping address. The module is accompanied by a comprehensive instruction manual so you can configure it. 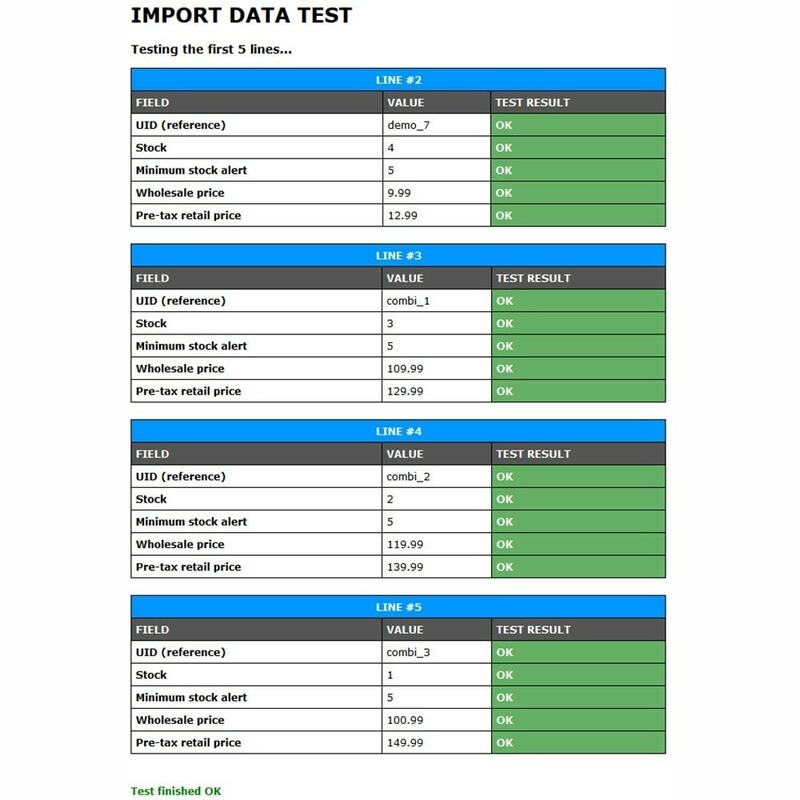 The module includes a sample of CSV import file. Professional module for connecting PrestaShop and Factusol bidirectional, which keeps the data synchronized between the two platforms. Now up to 50 times faster than other connectors with the new Fast Mode! 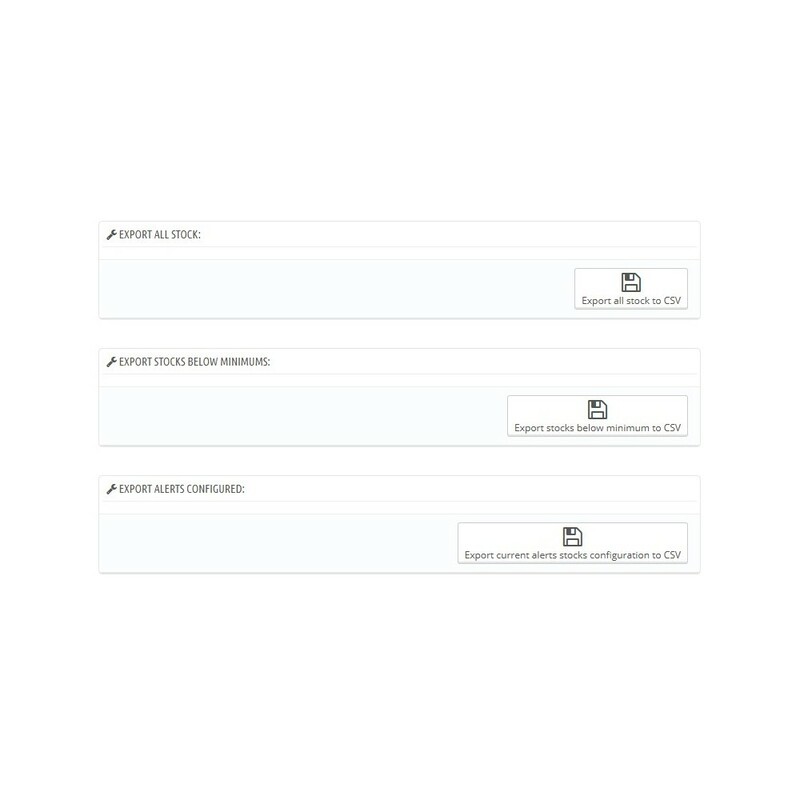 This module allows you to configure and use very simply multiple virtual POS system based on the CECA (Spanish Confederation of Savings Banks), as Unicaja or CAM. Compatible with Multishop, Multicurrency and Google Analytics.